The crystals dangle from beautiful sterling silver scrollwork stations, which are themselves suspended from sterling silver French hooks. 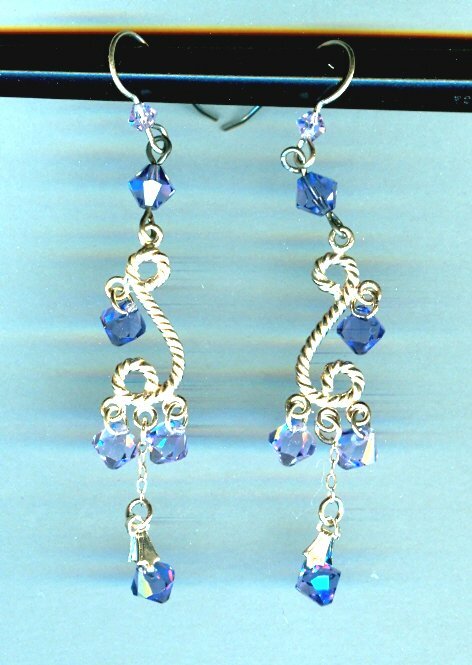 The hooks are embellished with 4mm violet bicone crystals. The longest dangle ends about 3-1/8 inches below the top of the sterling silver French hook. They're another fab pair of sterling silver earrings from SPARKLE PLENTY.